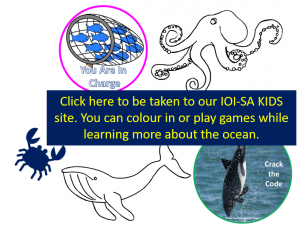 IOI-SA cares about empowering all sectors of the population with knowledge about the marine environment including the young ocean ambassadors. We have developed a (digital) booklet of games that are available as PDFs on the IOI-SA Kids website. Please follow the link to see more.